Still the most popular fishmeal based groundbait available and the reason is simple: GPS90 – and these two have it in abundance. This highest grade super soluble fishmeal is the most pungent and powerful fishmeal attractor bar none! The super soluble properties of GPS90 means the area of water surrounding your rig, or feeder are saturated with attraction. 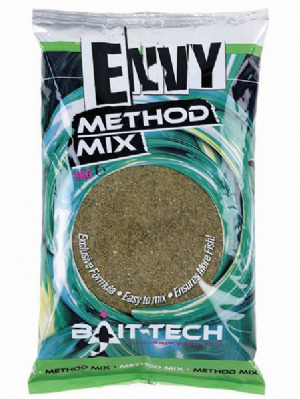 Now the most popular green fishmeal groundbait used and you know why? It works! 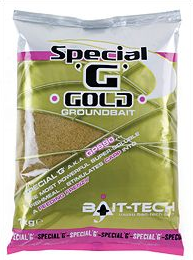 Combined with other top quality fishmeals, ground pellets and/or attractants, Special ‘G’ has forged a reputation as the ultimate fish catcher. 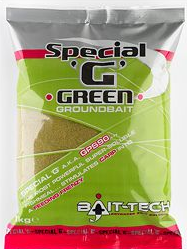 Whether method fishing, cupping, balling, as a stick mix or as a paste, Special ‘G’ does everything. 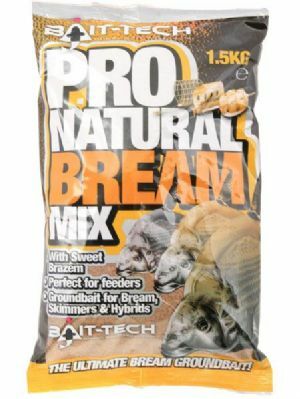 It is the Ultimate diverse groundbait.